We love making our sercies extra special by personalizing with initials or date. 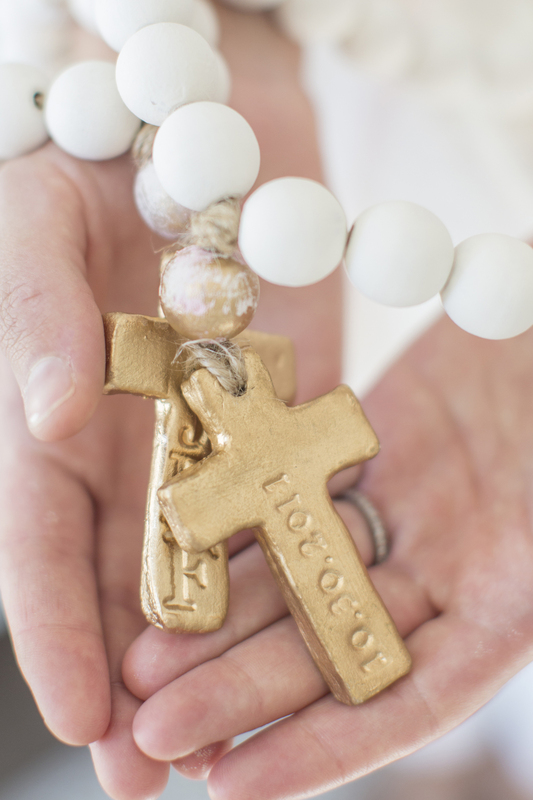 Hand-stamped blessing beads are a perfect way to commemorate a special event- baptism, birthday, wedding, retirement, new home or the life of a special person. You will have an option to enter your personalization request during the checkout process. We tend to think our blessing beads look best with a simple date or initials although we can accommodate other requests. There is no extra charge for personalizing, but shipping will be delayed up to a week.